SNAFU! : Trump/Russia Report. Steve Bannon says Trump will go "pure animal" on enemies now! Trump/Russia Report. Steve Bannon says Trump will go "pure animal" on enemies now! * Note * This is the last one. We're moving on to regularly scheduled programing unless something wild and wooly happens! Story here and make sure to watch the vid on their site. People have said it with regard to this news story but are you paying attention to everything going on in the world? * The US just recognized Israel's claim to the Golan Heights. * Iran is building a couple of nuclear power plants. * The insurgency in the Philippines continues almost unchecked. * A cyclone hit Africa and killed hundred if not thousands of people. * Italy just joined the Chinese "Silk Road" initiative. * The Turks, Iran, and Others are preparing to carve up Syria and perhaps even parts of Iraq. * The terrorist continue to flow throughout Africa and have stepped up their attacks on govt forces. * Pakistan vs India is still simmering (the naval moves by India are extremely interesting). * A US Navy Destroyer and US Coast Guard Cutter just sailed thru the disputed S. China sea. * The US just tested intercepts of ICBMs. * Continued dysfunction in the UK with the current govt on the verge of collapse. * Yellow vest protest continue in France with the govt signalling an intense crack down. And last but not least this Trump/Russia report. 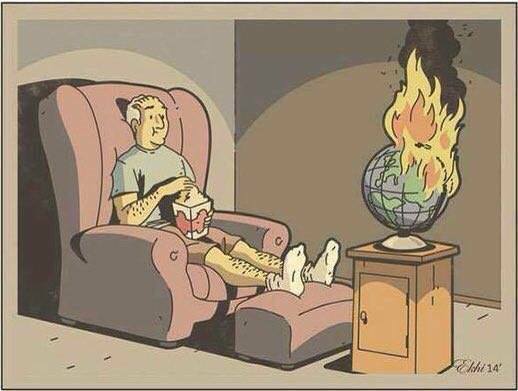 The world is burning folks...It's a raging fire and people are reaching for the gasoline instead of water. Pass me another cold one and the popcorn....when Trump starts putting horse heads in beds it's gonna get good.